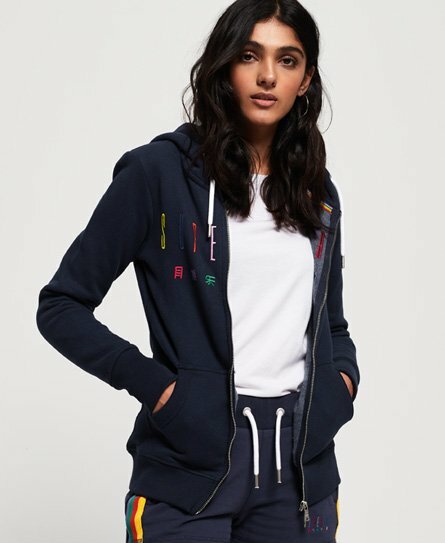 Superdry women's Carly Carnival embroidered zip hoodie. This zip hoodie features a drawstring hood, two front pockets and embroidered Superdry logo across the chest. Finished with a logo tab on the hem, why not style with a crew neck t-shirt and denim skirt for an easy everyday look.